Diseases do not see family backgrounds or age! This is the lesson that i learnt when I visited the Pediatric centre of the Escorts Heart Hospital. 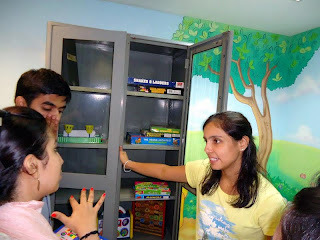 Toybank was invited there to participate in setting up of a toy-corner along with the Uday Foundation. I was initially a bit reluctant, as Escorts is known to be an 'elite' hospital - But I was wrong! There I saw parents, who were struggling to keep their children alive … Their households were probably running on bares and they were missing meals themselves, however they made sure that their child is getting the best medical treatment! 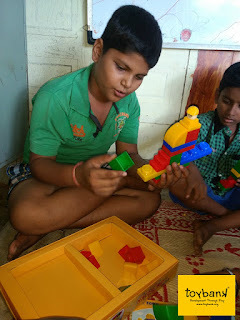 Toybank, along with the Uday foundation brought a smile to these ailing kids and their parents. The volunteers from the Uday Foundation conducted a story telling session with the children and also distributed some colors and books. 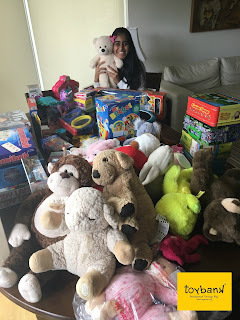 We have set up two toy corners, one at the pediatric ward and the other at the echo testing room, and hope to regularly visit and replenish, as needed.